Babor has combined the natural cleansing powers of water and oil and developed a bi phase deep action cleanser that is unique in the cosmetics market. This HY-OL is based on pure, natural oils, and is used in combination with the Phytoactive for the specific skin type to remove both oil and water soluble impurities gently yet thoroughly, without leaving a feeling of tightness. Removes dirt and impurities effectively. Additional information: Babor is a pioneer in professional skincare products and has set a high standard in skincare research. A German Based brand, they offer luxurious, tailor-made skin treatment products, which are designed to deliver maximum individual results. This brand offers highly innovative active formulations that are carefully combined with exclusive treatment methods to provide outstanding results and a uniquely indulgent experience. All their products are cruelty-free. Explore the entire range of Cleanser available on Nykaa. 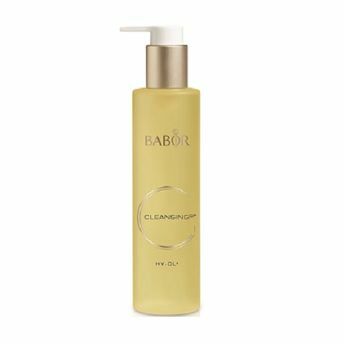 Shop more Babor products here.You can browse through the complete world of Babor Cleanser .